Q: How will I be notified for upcoming fundraising events? If you are on our e-mailing list, we will sent out an invitations for our upcoming events. If you are not sure whether you are on our e-mailing list you may contact the office administrator at renae@hopesacpc.org or call (253) 597-6424 ext. 0. If you do not have an email address we can also add you in our mailing list and sent out invites for our upcoming events. Q: Who do I need to contact to become an Advocate? To become an advocate please contact our Directory of Advocacy Tate Bates by email tate@hopesacpc.org or call (253) 597-6424 ext. 3. Q: Can I receive a receipt for donating to Rebuilding Hope SACPC? If you would like to received a receipt for tax purposes please contact our Office Administrator and she can mail out a receipt or email you one if you need it as soon as possible. Q: Are there charges for Rebuilding Hope SACPC Services? ADVOCACY – Advocacy services are free of charge. THERAPY – Therapy services are collected on a generous sliding scale fee. Every attempt is made to provide services to anyone regardless of financial ability. EDUCATION – Most Education presentations are free of charge, although we do accept donations. There is a charge of $225 or for groups of 3 or more it will be $175 per person for the 30+ hour Basic Sexual Assault Awareness Training (BSAAT). This training is offered four times a year and there are usually scholarships available. Costs for specific trainings are negotiated depending on time and size of audience. Mentoring for community projects is free. Q: What are the current, special needs of Rebuilding Hope SACPC programs? A. The agency is currently in need of the following items: A scholarship fund for our Basic Sexual Assault Awareness Training (BSAAT). This will enable professionals in our community who desire to attend and benefit from this 30+ hour training to do so. The fund will help support our on-going Education Prevention program. Our community need indicates attendee support of $2,500 per year. TV to permit use of our DVD player or TV/VCR/DVD 27″ combo. Digital Camera – quality of a Canon A410 PowerShot or better. Gift Card donations from places such as Walmart, Costco, etc. Uniform logo shirts for our Advocates to wear when they are at community events. Copyrighted materials from sexual assault resources. Gift Certificates for massages for our clients. Rebuilding Hope SACPC logo items such as pens, bags, water bottles, stress-ease balls, & hip clips. B. Through In-kind services, such as artistic creations, printing, or donated expertise. C. When you talk about sexual assault with others, you are assisting the work of our community and agency. Non-judgmentally listen to a victim talk about their assault or experience; you are contributing to the welfare of victims and our agency. Tell others of our agency and its services; you are contributing to Rebuilding Hope SACPC. D. We have many volunteer opportunities which are separately detailed within this website. Q: How can I get involved in a community project? A “community” can consist of your church, your school, your workplace, your service group, your block, your apartment complex, or even your family. Have an idea of what you want to “stop from happening” or what you want to change in your community. An Educator from Rebuilding Hope SACPC will work with you to help you obtain your goal. This will probably take some time and work but it is amazing to see what a few people can do to make a change! Middle school and high school students have done some great projects in Pierce County! Q: Are ‘you guys’ busy? The answer is always, “yes!” This does not mean that there’s been more sexual assaults in our community but rather that the agency’s resources are constantly employed. The agency’s dual focus of providing direct victim services (the crisis line rings ‘when it rings’, requiring advocates to be ever ready to assist callers and we always have a waiting list for therapy services) and community education and prevention pose challenges only restricted by agency funding. The agency never experiences slow down or “down time”, though the Education Prevention program is affected by school district schedules when program staff take vacations, update curriculum, and engage in business and community work during school closures. Funding events and grant applications have deadlines, but opportunities and planning require constant attention and pursuit. 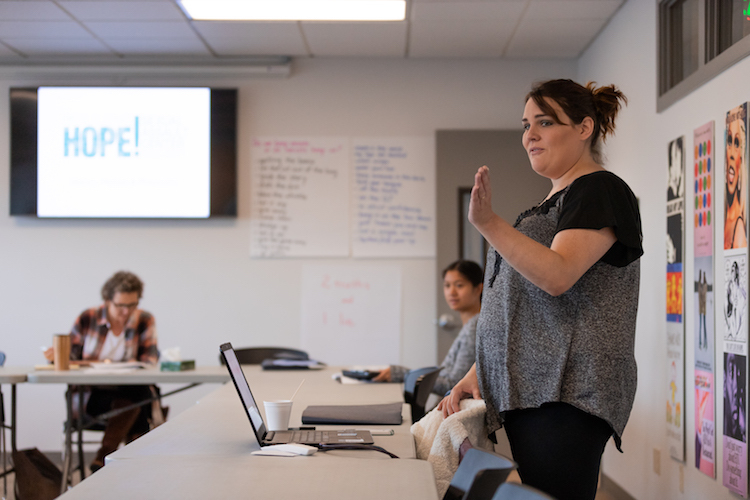 The challenge to Rebuilding Hope the Sexual Assault Center staff and board remains “to appreciate what we accomplish, given our resources, in the face of all we feel needs to be done to meet the voiced and unvoiced needs of our community”. Q: How can you do that work? Staff are driven by knowing how important the work they do is, how badly their work and expertise is needed, their personal desire to do this work (though they wish it wasn’t needed), and the fact they truly make a difference in the lives of those they serve. If you still have questions that we have not addressed throughout our site, you may contact our office administrator at renae@hopesacpc.org or call (253) 597-6424 ext. 0 for further assistance.